Fractionated Coconut Oil is not your regular cold-pressed coconut oil that goes solid at room temperature, though it's ability as an emollient and moisturizer is the same. Fractionated oils have been heated as part of their processing, to separate certain chains of fatty acids into components. This refines, clarifies, and deodorizes the oil. One of the components resulting from this type of processing of coconut oil is medium-chain triglycerides, known as MCT in the industry. This is what comprises Fractionated Coconut Oil. It stays liquid, is clear, and is highly stable for use in creams and lotions, and many other cosmetic preparations for skin and hair. Because it is chemically indifferent to other cosmetic ingredients, it acts as a viscosity regulator and assists in the dispersion of pigments and other additives. Further, it penetrates the skin readily, thus acting as a carrier for transdermal therapeutic ingredients. This ability to transport essential oils and actives makes it an oil of choice among medical practitioners and massage therapists. Our Fractionated Coconut Oil meets the quality standards of the FDA, Health Canada, and the European Pharmacopoeia. Fractionated Coconut Carrier Oil is used almost exclusively by cosmetic manufacturers. Consistency: Typical and Characteristic of Carrier Oils. 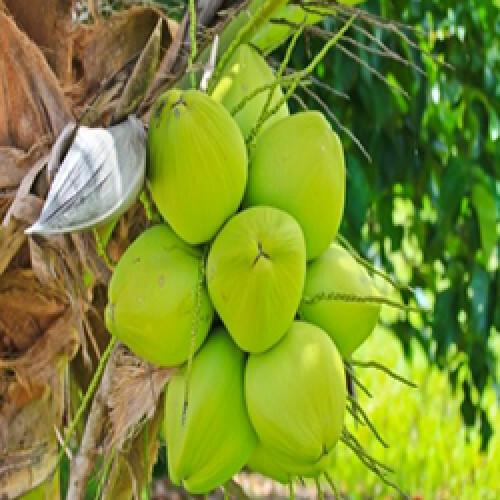 Fractionated Coconut produces a barrier on the skin, but will not clog pores. Fractionated Coconut oil is extremely resistant to breaking down and does not go rancid like other carrier oils. The shelf life is indefinite with proper storage conditions (cool, out of direct sunlight). Refrigeration is not needed.